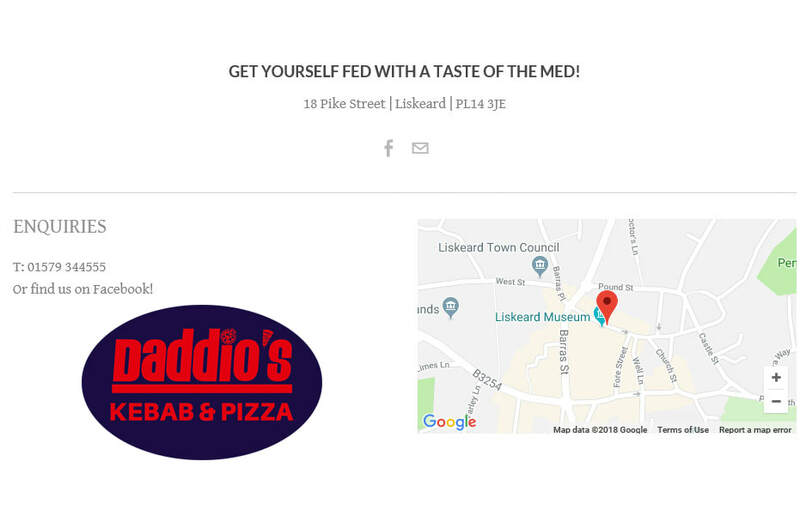 ​Daddio’s is a popular town-centre eatery, which first opened in December 2015 with a broadly British/Italian menu. As of June 2018, Chef/Owner Hasan Akkos will be taking the restaurant forward as a Turkish Meze & Mediterranean Grill. This reflects his national cuisine and heritage (having been born in South East Turkey). He hopes to bring something new and exciting to the town of Liskeard. We aim to provide excellent service and a warm, friendly and relaxed eating experience for all ages. Our menu also has a great selection of meals suitable for vegetarians. Many of the Meze dishes in particular are vegan suitable. Our homemade pizza bases do not contain animal products. If you have any allergies please contact us to discuss your requirements.